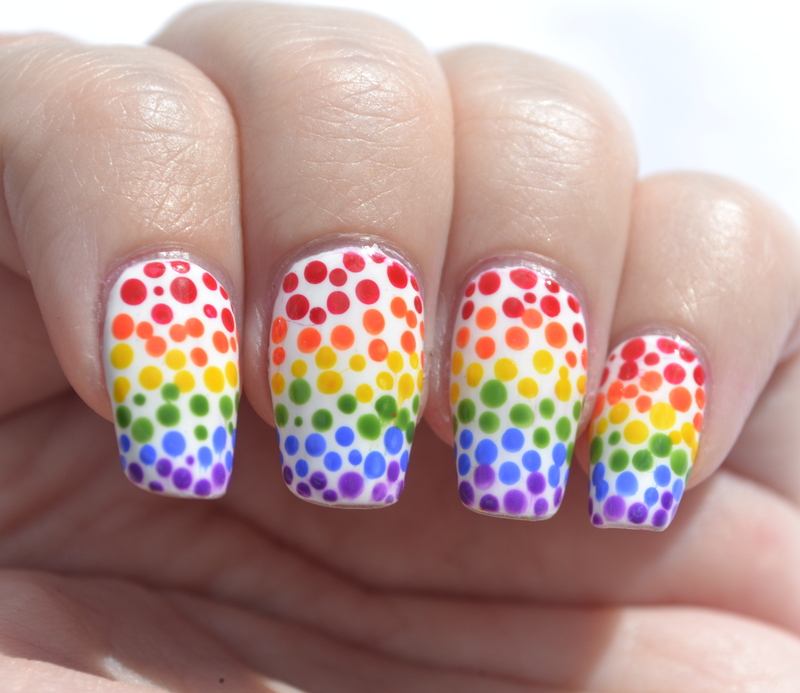 August 3, 2014 / Rachel C.
Rainbow nail art should have been exceptionally easy. And in the end it was, but only after spending a very long time trying to figure out what I should do. I ranged from trying out the Bifrost (from the Thor movies) to gradient paint drips to just sponging on a bunch of colors. Finally, my dotting tools took pity on me and made themselves known. 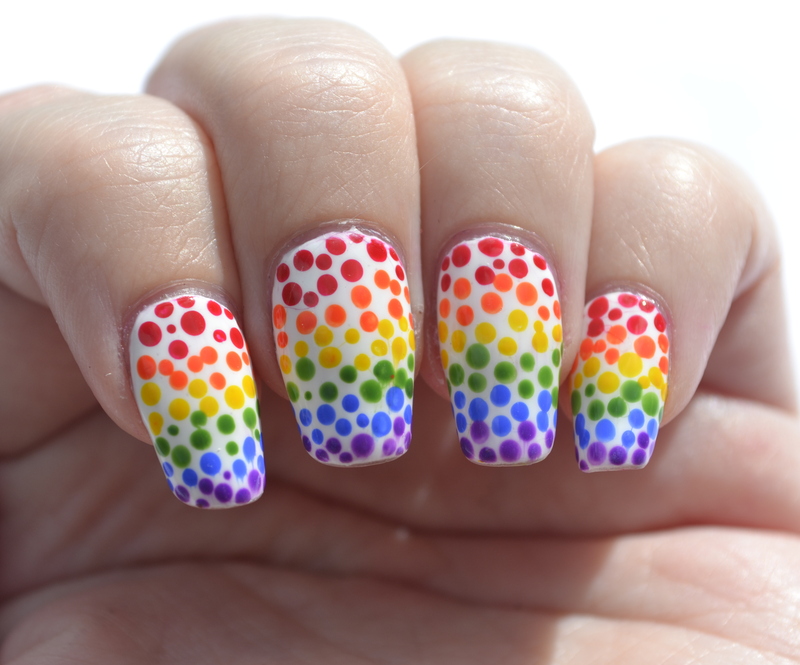 So a rainbow dotticure it was! And again, simplicity brings about success. I really like this, even if it wasn’t quite what I was expecting. I was pleasantly surprised to find that I could fit all of the polishes I wanted to use on all of my nails. And look! 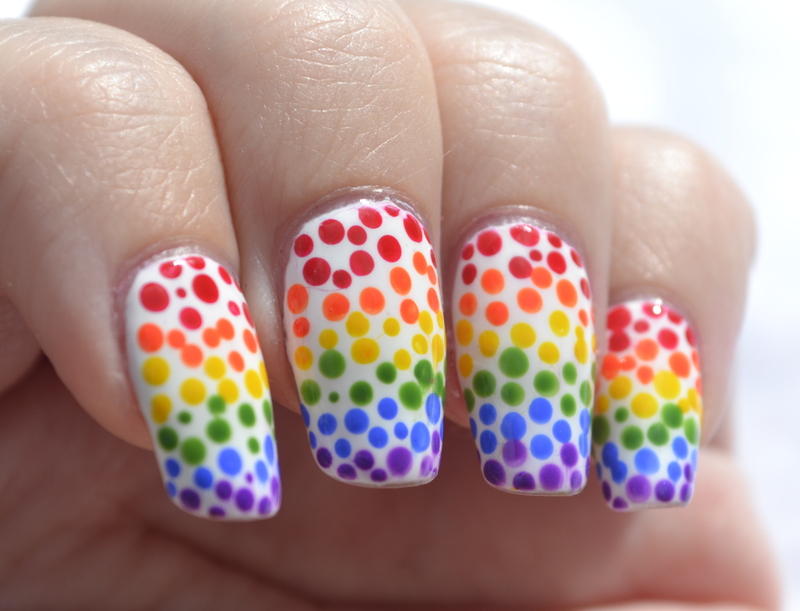 If I position my fingers correctly, the dots arc like an actual rainbow! Isn’t it cool?! 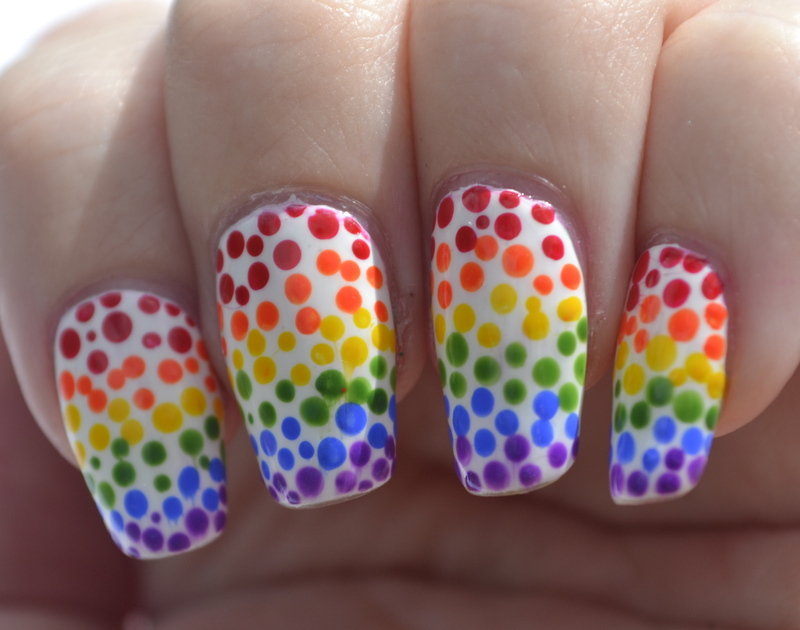 Anyway, my rainbow dots are made with Kleancolor Red, Kleancolor Tangerine Burst, Maybelline Color Show Electric Yellow, Sinful Colors Exotic Green, Sally Hansen Pacific Blue, and Kleancolor Neon Purple (on a background on FingerPaints Paper Mache). One shy of the traditional ROYGBIV rainbow, but close enough. Next up is a 3D challenge, and I am not happy about it.